Sirsa: Sushil Kandoi and his neighbours wake up at 4 am everyday to prepare breakfast for Army personnel, paramilitary forces, police and journalists who are on the job near the Dera Sacha Sauda headquarters in Sirsa, popularly known as the "land of donors" in Haryana. Throughout the day, a group of people serves snacks, tea, lassi and food to security and Army personnel on motorcycles, gypsy cars and tractors. 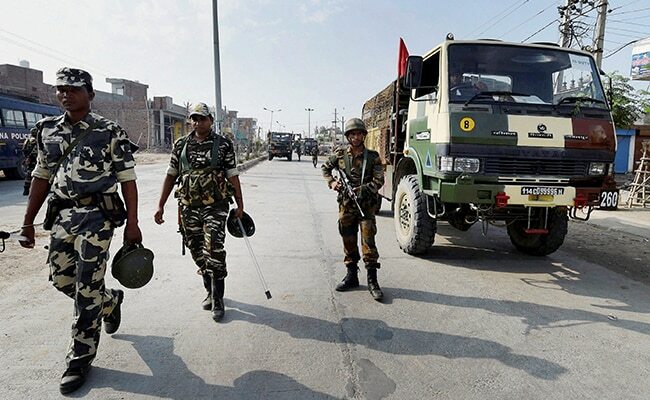 The Army is deployed in the vicinity of the Dera headquarters to maintain law and order in the nearby areas where curfew is in force since Thursday night. There are some 120 social organisations engaged in social work in Sirsa assembly constituency, which has a population of 2.5 lakh. People have also constructed a long wall called "neki ki diwar" on Dabwali Road where locals keep items they do not need so that the needy could use them. Also, a "roti bank", which works on the principle of collecting food from donors and distributing it among the poor, was launched in Sirsa recently. Kandoi, a supplier of mustard oil, said there are 40 people in his group who serve tea, snacks, lunch and dinner to security personnel and journalists. "The people of Sirsa, popularly known as 'the land of donors' in Haryana, believe in serving humanity. Thus, we decided to serve Army, paramilitary forces, police personnel and media persons when the administration imposed curfew in the area," Mr Kandoi said. Another resident, Mahender Kumar, said the residents come forward and donate money everyday for serving tea, snacks and food to security personnel. "We will continue to make such arrangements for security personnel till they are here," Suresh Soni, a resident of Beghu, said.